Or view larger version. Untitled. 1906. Photographer unknown. Postcard. Collection of Oakland Museum of California. Gift of Mrs. Alice K. Montin. This photograph shows Point Arena in ruins after the 1906 San Francisco earthquake. The earthquake caused the longest rupture of a fault in the contiguous United States. 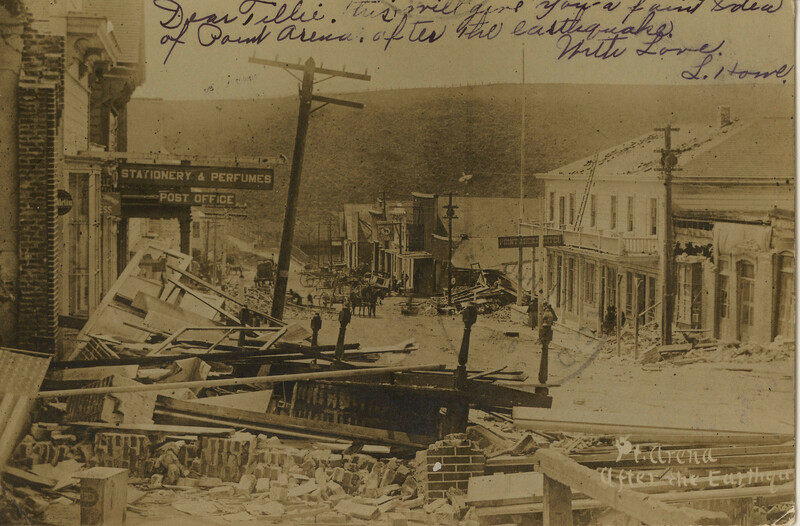 The fault in the Point Arena area shifted the ground nearly five meters (16.4 feet) causing the damage seen in this photograph.